George Bruce Cortelyou (July 26, 1862 – October 23, 1940) was an American Cabinet secretary of the early twentieth century. He held various positions in the presidential administrations of Grover Cleveland, William McKinley, and Theodore Roosevelt. Born in New York City, Cortelyou worked for the United States Postal Service, earning the attention of Postmaster General Wilson S. Bissell. On Bissell's recommendation, President Cleveland hired Cortelyou as his chief clerk. On Cleveland's recommendation, McKinley hired Cortelyou as his personal secretary. After McKinley's assassination, Roosevelt asked Cortelyou to lead an effort to reorganize the White House. Impressed by Cortelyou's performance, Roosevelt appointed Cortelyou to the position of United States Secretary of Commerce and Labor in 1903. He left that position in 1904 to become the Chairman of the Republican National Committee, and starting in 1905 he also served as the Postmaster General. He left both of those positions to become the United States Secretary of the Treasury in 1907. In that position, he worked to keep the economy stable during the Panic of 1907. After Roosevelt left office in 1909, Cortelyou became president of the Consolidated Gas Company. He died in 1940. Cortelyou was born in New York City to Rose (née Seary) and Peter Crolius Cortelyou, Jr. He was part of an old New Netherland family whose immigrant ancestor, Jacques Cortelyou, arrived in 1652. He was educated at public schools in Brooklyn, the Nazareth Hall Military Academy in Pennsylvania, and the Hempstead Institute on Long Island. At 20, Cortelyou received a BA degree from Westfield Normal School, now Westfield State University, a teacher's college in Westfield, Massachusetts. He graduated from the law schools of George Washington University and Georgetown University. He was a member of Phi Sigma Kappa fraternity while at George Washington University. Courtelyou then began teaching, later taking a stenography course and mastering shorthand. Cortelyou married the former Lily Morris Hinds on September 15, 1888, with whom he had five children. In 1891, he obtained a position as secretary to the chief postal inspector of New York. The following year a promotion led to a job as the secretary to the Fourth Assistant Postmaster General in Washington, D.C. In 1895 President Grover Cleveland hired Cortelyou as his chief clerk on the recommendation of Postmaster General Wilson S. Bissell. Cleveland recommended him as a personal secretary to his successor, William McKinley. Cortelyou was working on improvements in office efficiency in 1901, when President McKinley was assassinated. McKinley was greeting visitors in the Temple of Music at the Pan-American Exposition on September 6, 1901, in Buffalo, New York, when he was shot twice at close range by lone assassin Leon Czolgosz. As McKinley collapsed, he was caught and supported by his aides, among them Cortelyou. As he was held in their arms, he whispered, "My wife... be careful, Cortelyou, how you tell her. Oh, be careful." After succeeding as President, Theodore Roosevelt tasked Cortelyou with transforming the White House into a more professional organization. Cortelyou developed procedures and rules that guided White House protocol and established processes for which there had been only personal prerogative. Cortelyou is also credited with establishing an improved line of communication between the President's office and the press; he provided reporters with their own workspace, briefed journalists on notable news and handed out press releases. Cortelyou is credited with instituting the first systematic gathering of press commentary for a sitting president's perusal. The "current clippings" were the first attempt by a president to gauge public opinion by the media. Cortelyou selected items objectively, a practice that would not be consistently followed by his successors. Cortelyou served as the first Secretary of Commerce and Labor, from February 18, 1903 to June 30, 1904. 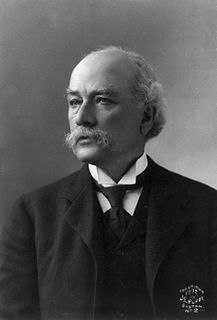 He also served as Postmaster General from March 6, 1905 to January 14, 1907 and was the Secretary of the Treasury, all under Theodore Roosevelt. 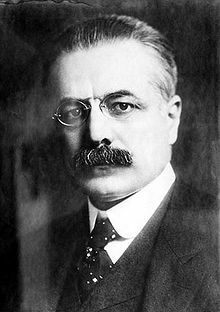 From 1904 through 1907, Cortelyou also served as Chairman of the Republican National Committee, working for the successful re-election of Theodore Roosevelt. He was made an honorary member of Phi Mu Alpha Sinfonia Fraternity on April 9, 1903. He had attended the New England Conservatory of Music, where the fraternity was founded. Cortelyou served as the Secretary of the Treasury, from March 4, 1907 to March 7, 1909. This was during the devastating Panic of 1907. Like his predecessor, Leslie M. Shaw, Cortelyou believed it was Treasury's duty to protect the banking system, but he realized that the Treasury was not equipped to maintain economic stability. He eased the crisis by depositing large amounts of government funds in national banks and buying government bonds. To prevent further crises, Cortelyou advocated a more elastic currency and recommended the creation of a central banking system. In 1908, the Aldrich-Vreeland Act was passed, providing special currency to be issued in times of panic, and creating a commission, which led to the creation of the Federal Reserve in 1913. He returned to private enterprise as the president of the Consolidated Gas Company, later known as the Consolidated Edison. He was also one of the chairmen of the Con Edison Energy Museum, which is now closed. He lived at his home "Harbor Lights" in Halesite, Long Island, until his death in October 1940. Edith Roosevelt attended the wake at his home, as she was a best friend of his wife. He is buried at the Memorial Cemetery of St. John's Church in Cold Spring Harbor, New York. Cortelyou, an unincorporated community in Washington County, Alabama, changed its name from Richardson to Cortelyou while George Cortelyou was United States Postmaster General. ^ Earl F. Schoening, ed. (January 1941). "Chapter Invisible". The Signet, a magazine for members of Phi Sigma Kappa fraternity: Vol XXXIII, No. 1, pg 51. ^ Foscue, Virginia (1989). Place Names in Alabama. Tuscaloosa: The University of Alabama Press. p. 40. ISBN 0-8173-0410-X. Wikimedia Commons has media related to George B. Cortelyou. 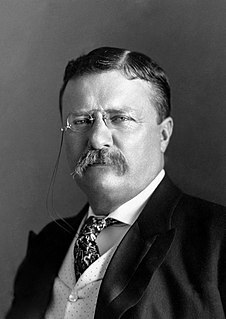 Theodore Roosevelt Jr. was an American statesman, politician, conservationist, naturalist, and writer who served as the 26th president of the United States from 1901 to 1909. He previously served as the 25th vice president of the United States from March to September 1901 and as the 33rd governor of New York from 1899 to 1900. As a leader of the Republican Party during this time, he became a driving force for the Progressive Era in the United States in the early 20th century. His face is depicted on Mount Rushmore, alongside those of George Washington, Thomas Jefferson, and Abraham Lincoln. In polls of historians and political scientists, Roosevelt is generally ranked as one of the five best presidents. 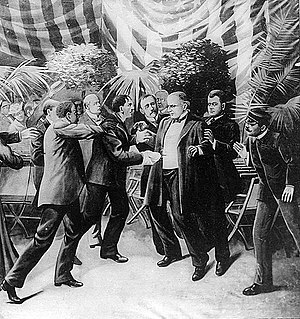 William McKinley Jr. was the 25th president of the United States, serving from March 4, 1897, until his assassination six months into his second term. During his presidency, McKinley led the nation to victory in the Spanish–American War, raised protective tariffs to promote American industry and kept the nation on the gold standard in a rejection of free silver. George von Lengerke Meyer was a Massachusetts businessman and politician who served in the Massachusetts House of Representatives, as United States ambassador to Italy and Russia, as United States Postmaster General from 1907 to 1909 during the administration of President Theodore Roosevelt and United States Secretary of the Navy from 1909 to 1913 during the administration of President William Howard Taft. Donald McDonald Dickinson was a lawyer and politician from the U.S. state of Michigan. Ethan Allen Hitchcock served under Presidents William McKinley and Theodore Roosevelt as U.S. Secretary of the Interior. Beekman Winthrop was an American lawyer, government official and banker. He served as Governor of Puerto Rico from 1904 to 1907, as Assistant Secretary of the Treasury in 1907-1909, and Assistant Secretary of the Navy in 1909-1913. Frank Aleamon Leach was a United States newspaperman who was Director of the United States Mint from 1906 to 1909. In the aftermath of the 1906 San Francisco earthquake, the heroic efforts by Frank A. Leach and his men preserved the old San Francisco Mint building and the bullion that then backed the nation's currency.